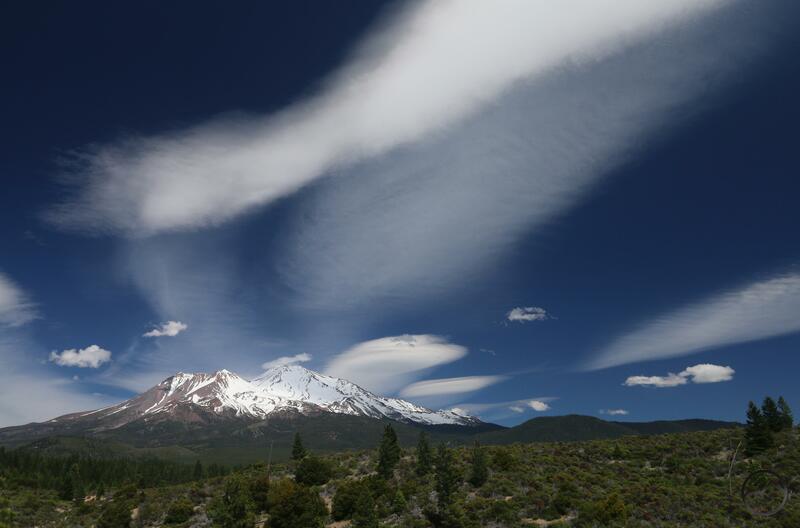 Wild clouds form over Mount Shasta. I hope everyone had a good Memorial Day weekend. Here in Mount Shasta, the weather was good so for my family it was a weekend of gardening, playing outside and finally getting our kids out on the trail in the high country. My wife and I took our three kids on the Pacific Crest Trail and had a windy afternoon picnic on Gumboot Point. It was a small outing, but we have bigger things planned in June, including Yosemite, Lake Tahoe, the Wallowa Mountains and Hells Canyon. With my older kids starting to perceive more and my two nephews now attending the Naval and Air Force academies, we had some good opportunities to talk about what Memorial Day means. 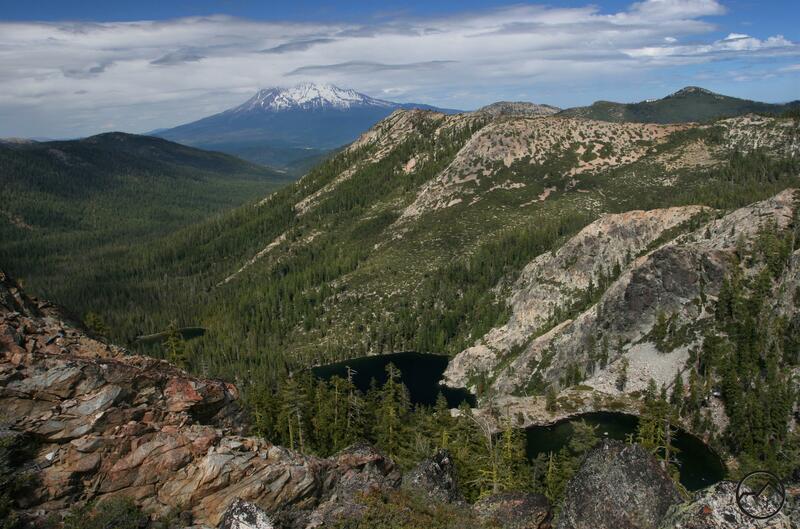 The kids enjoy a rocky vista of Gumboot Lake, Mount Eddy and Mount Shasta. While the weekend was largely cloudless, today was quite different. The clouds formed quickly this morning and continued to spiral, swirl and swell all day. A little after noon some nice lenticulars started to form around the mountain. They persisted through much of the afternoon, giving me cause to hope for an excellent sunset. While the lenticulars ultimately disappeared, the rest of the clouds remained interesting and I was still holding out for an interesting evening. It was not to be however, as large plumes of cloud developed in the west and ultimately blocked the light. There was to be minimal color on the mountain tonight. It remained beautiful, even if it was not what I had hoped for. With the summer hiking season upon us, the opportunities for great hiking are nearly limitless. I hope everyone has an opportunity to take advantage of the spectacular trails in this area. I will see you out there! This is the last day of a gorgeous Memorial Day Weekend. In the midst of reflecting on what the day commemorates, getting outside appreciating the beauty of the land that we have been blessed with is certainly appropriate. 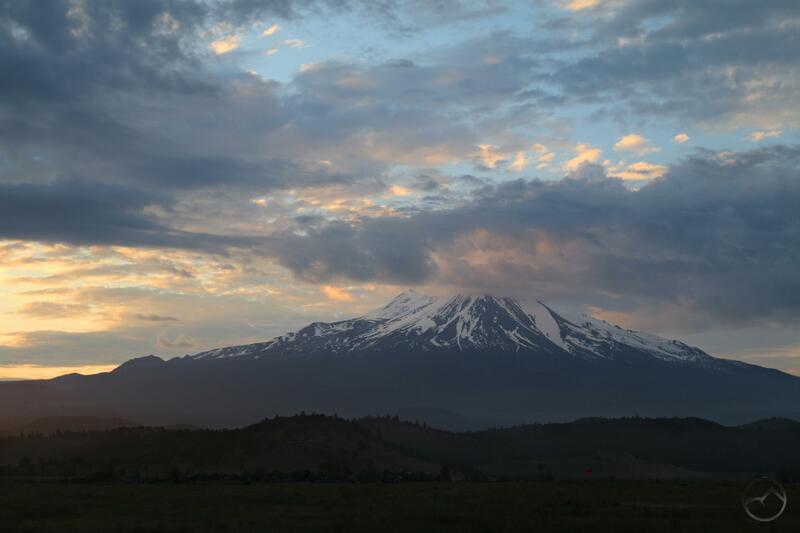 As this time comes to a close, it is a good opportunity to enjoy another spectacular Mount Shasta sunset. 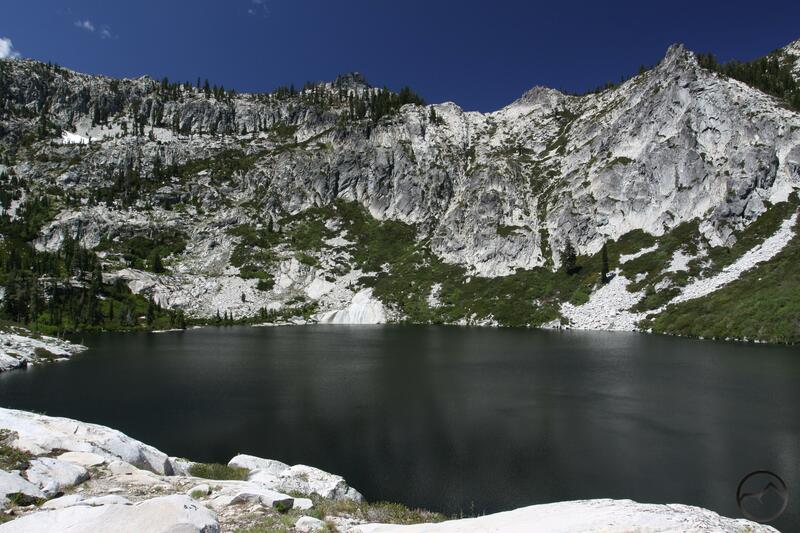 Of course, many of the most popular trails, like Heart Lake, can get pretty busy. 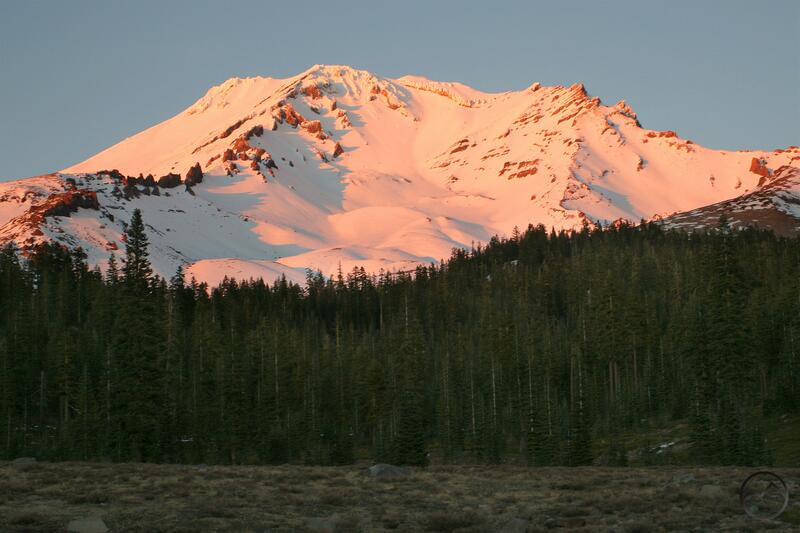 If you want to enjoy solitude and still take in the stunning alpenglow display, there are still numerous trails in the Mount Shasta area from which to enjoy the spectacle. With all the people attempting to climb Mount Shasta right now, as well as hikers using the trailhead, Bunny Flat can seem like a real zoo. However, heading up on the Green Butte Ridge Trail will quickly leave the vast majority of the crowd behind and it is likely that you can have a grand seat to the sunset display from the ridge above Avalanche Gulch. Snow may still be lingering at the uppermost elevations of the path but one does not need to climb too high before getting a grand vista. It is a memorable way to watch the color on the mountain. This is a popular trail but it is likely that most people will have headed home by the time one heads out in the afternoon to watch the sunset. The PCT from Gumboot Saddle is a gently undulating trail that heads along the spine of the Trinity Divide. 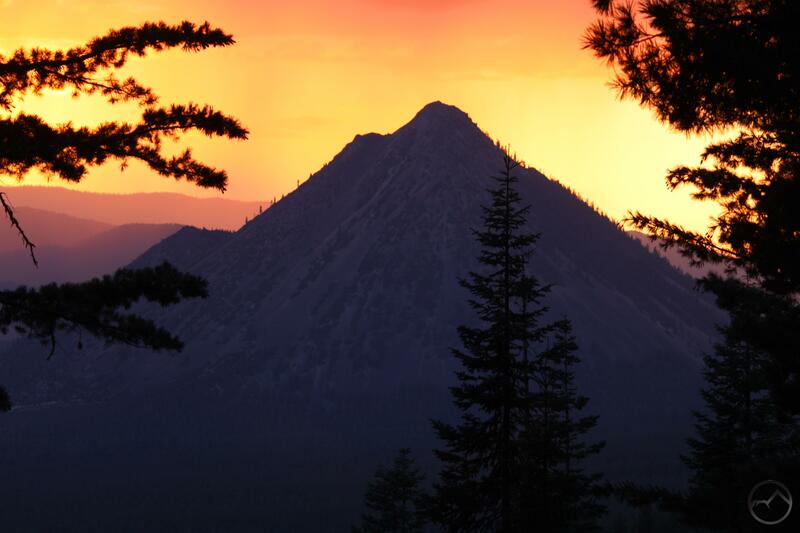 Situated high above the headwaters of the South Fork of the Sacramento River, it boasts a prime vantage from which to watch the evening light on Mount Shasta. With its gentle grade and short distance to grand views, this is an easy hike to take kids on too, giving the little ones a chance to appreciate an alpine sunset. The Scott Mountains don’t get too much attention but they ought to. 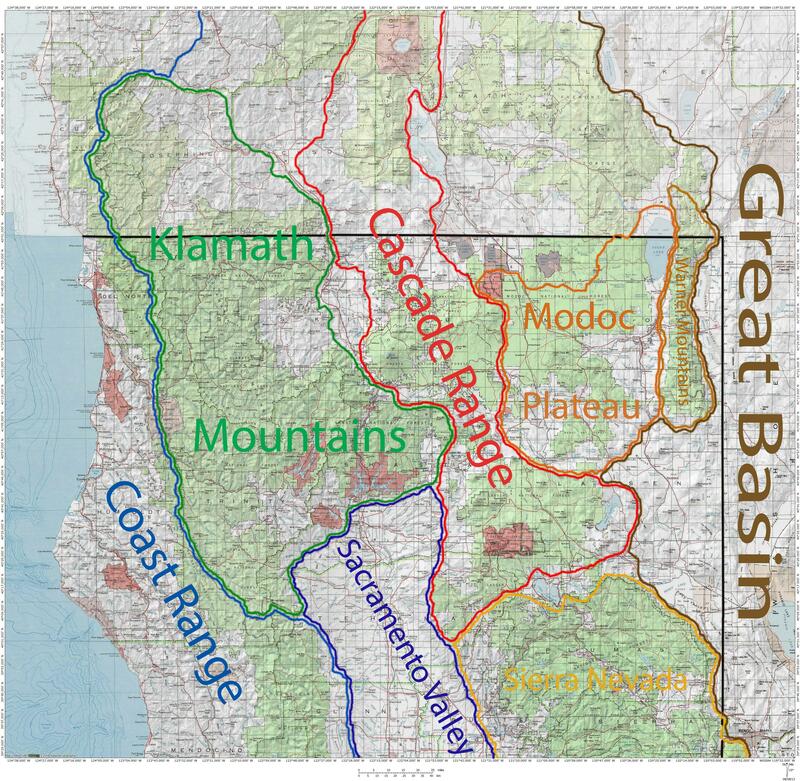 They extend many of the best characteristics of the Trinity Divide several miles to the west, connecting the might Trinity Alps. The easiest trail in the range to reach is also one of the least used, leading to the small but beautiful Caldwell Lakes. 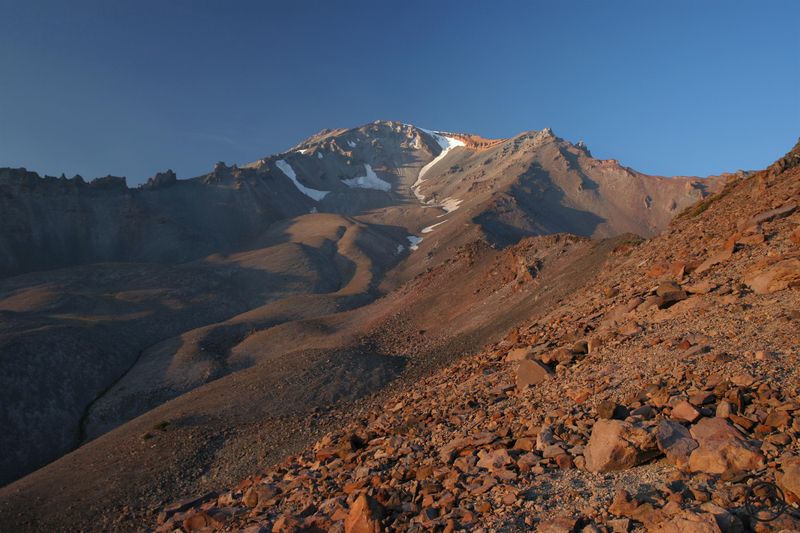 On the way up, the path features staggering views of both Mount Shasta and Mount Eddy. Climbing to the rocky knoll above the trail as it passes by Lower Caldwell Lake will bring hikers one of the finest sunset views around. You are guaranteed splendid isolation here, and a majestic setting in which to enjoy it! 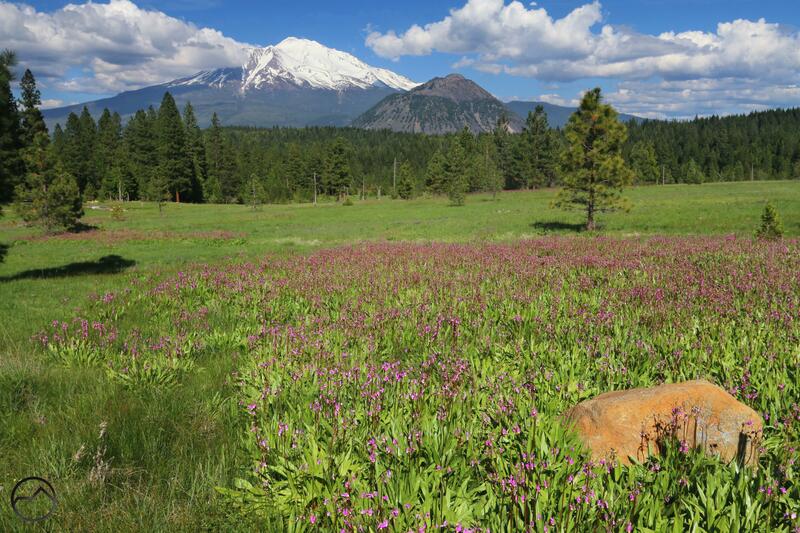 Spring flowers highlight a fantastic view of Mount Shasta. 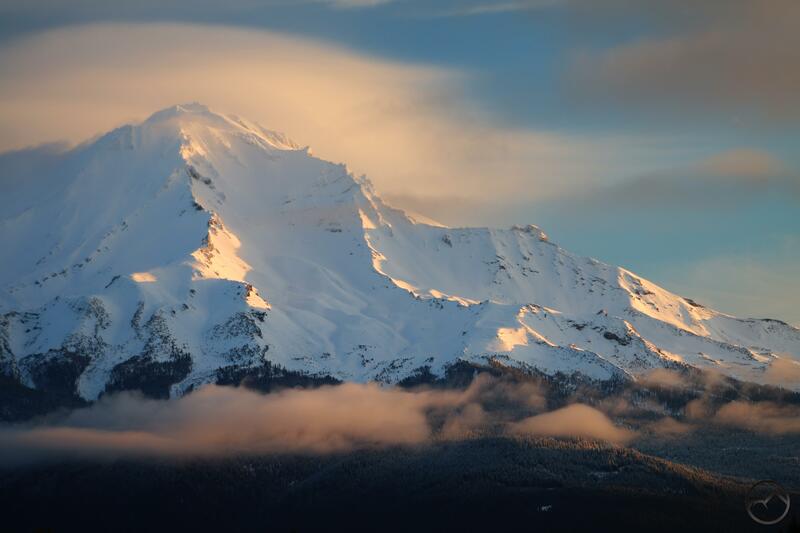 Mount Shasta makes a dramatic sight from near Gumboot Saddle. This is probably old news to some but I figured I ought to make sure that the news is out there. I confirmed today that both Parks Creek Pass and Gumboot Saddle are open. This has several implications for hikers this weekend and beyond. Most importantly, several fantastic hikes on the Pacific Crest Trail are now wide open and hikable. 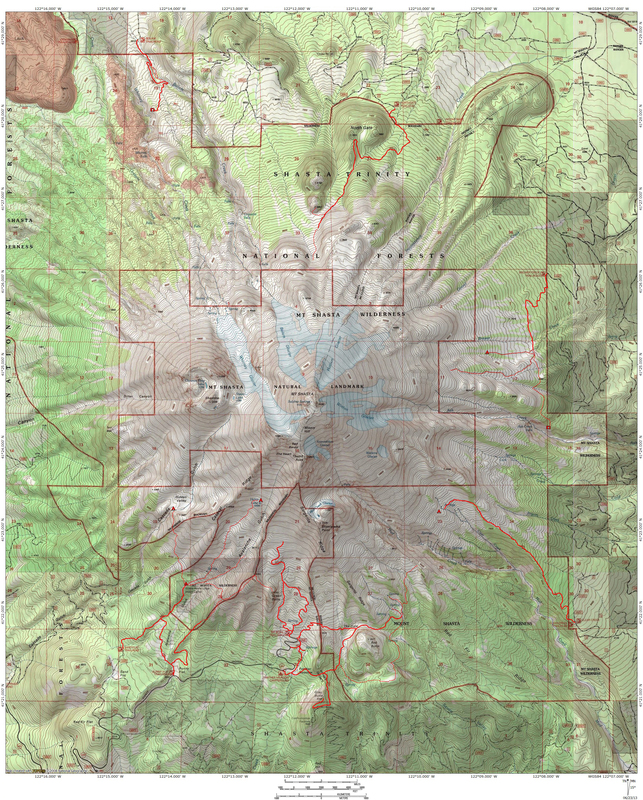 This includes the Seven Lakes Basin, Porcupine and Toad Lakes, Deadfall Basin and Mount Eddy as well as some trails in the Scott Mountains such as the PCT to Bluff Lake and the scramble up to China Mountain. Each of these is a fantastic hike and worth the time this weekend. Another implication of the opening of the passes, specifically Parks Creek, is the quick availability of trails in Trinity Alps. 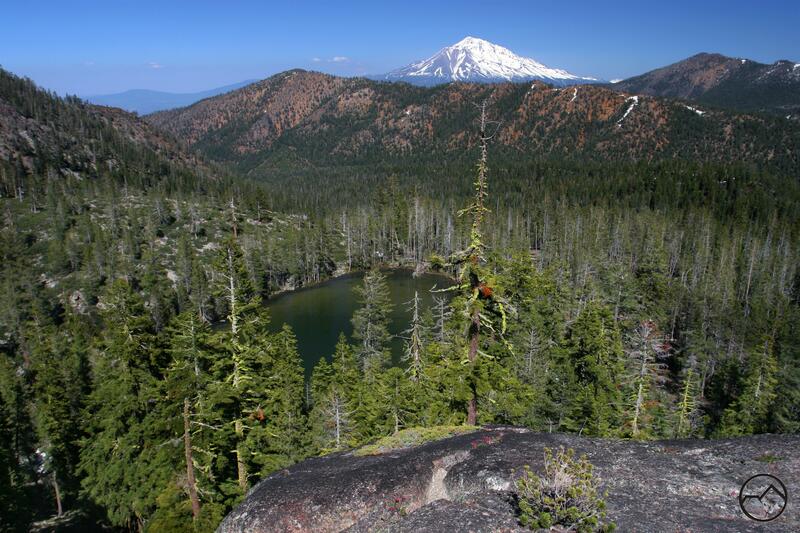 The closest to the Mount Shasta area are the hikes to the Bear Lakes and Tangle Blue Lake. Other nearby trails include the routes to Stoddard Lake and to the summit of Billys Peak Lookout. Other destinations can be accessed from some of the trailheads, opening up the possibility of longer backpacking trips. The trails themselves should all be wide open and snow free by this point, so the Trinity Alps are open for business. With the passes open, scenic driving is also a possibility. 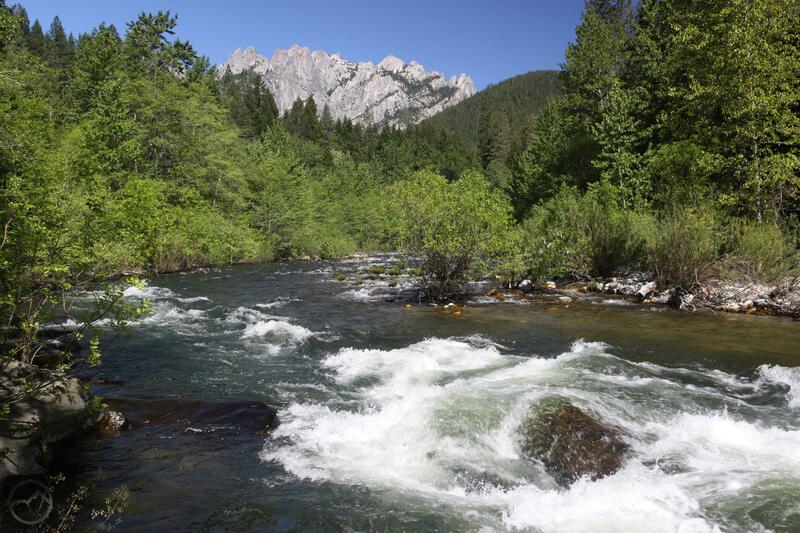 The loop up South Fork Road to Gumboot and then around to Horse Heaven Meadow and down into the Castle Creek drainage offers awesome views of the Trinity Alps, southern Trinity Divide and the Castle Crags. 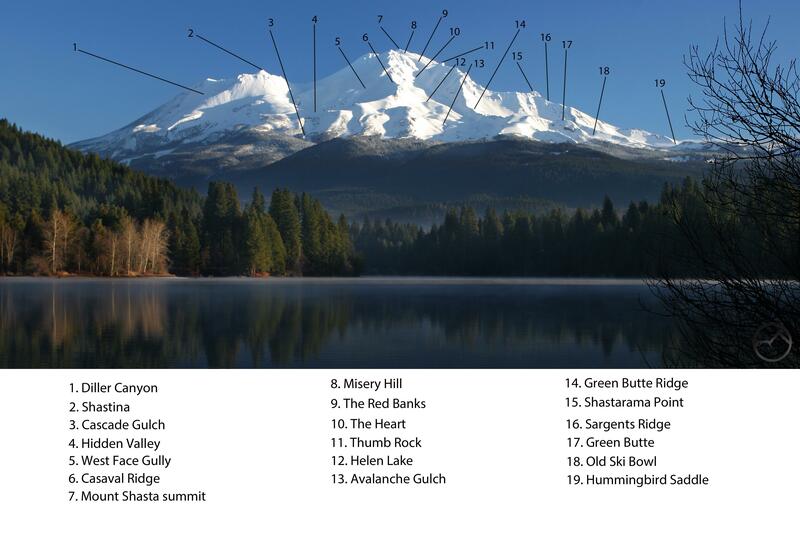 Driving up to Parks Creek Pass has awesome views of Mount Shasta, the Scott Mountains, Mount Eddy and the Trinity Alps. All in all, this is perfect timing for the long weekend. 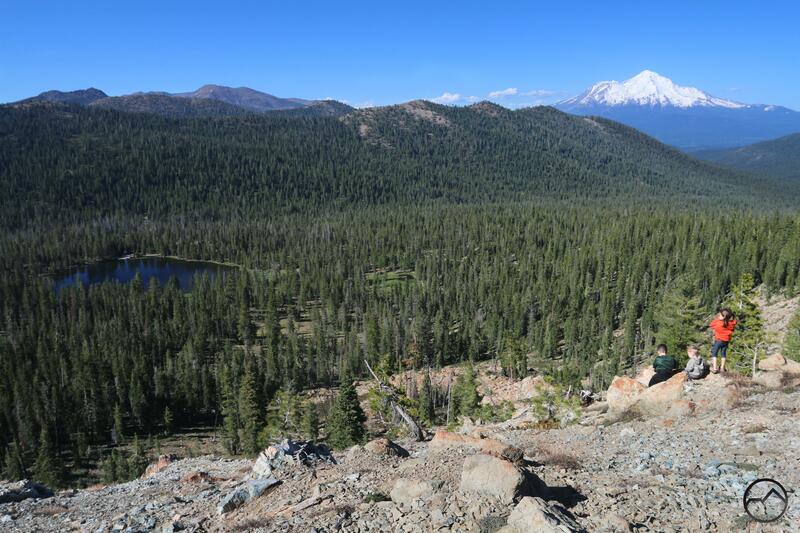 With all the trails opened up (except for those at the Old Ski Bowl), there is more room for everyone to spread out and enjoy the Mount Shasta area without feeling like everyone is on the same trail. It is one of the (few) blessings of a light winter. 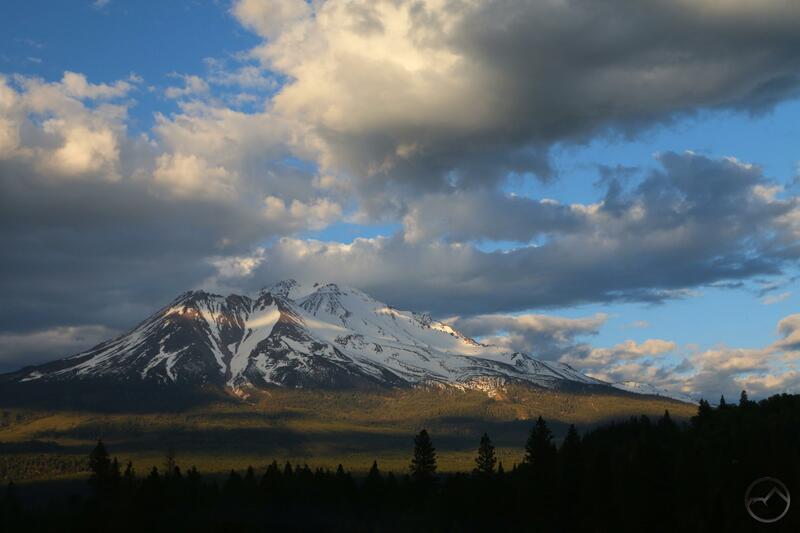 A Shasta Valley sunrise view of storm clouds around Mount Shasta. As usual, I was up early this morning and, seeing the clouds about, decided to head out and see what the sunrise offered. Yesterday was warm but large clouds persisted around the mountain so I was not surprised to see that they had grown significantly during the night. As I set up my camera, I realized that not only was it cloudy, it was actually getting rather stormy. The wind was blowing swiftly and rain began falling. I know thunderstorms are a common occurrence no matter where one goes but for some reason the feeling in the air and the rain falling reminded me of being back in the Pecos Wilderness in New Mexico. Though that particular wildland is high elevation and alpine, the land at it’s feet is high desert, much like the Shasta Valley. This was not a landscape that I was initially attracted to but I came to have an immense love and appreciation for it during my time in Texas. 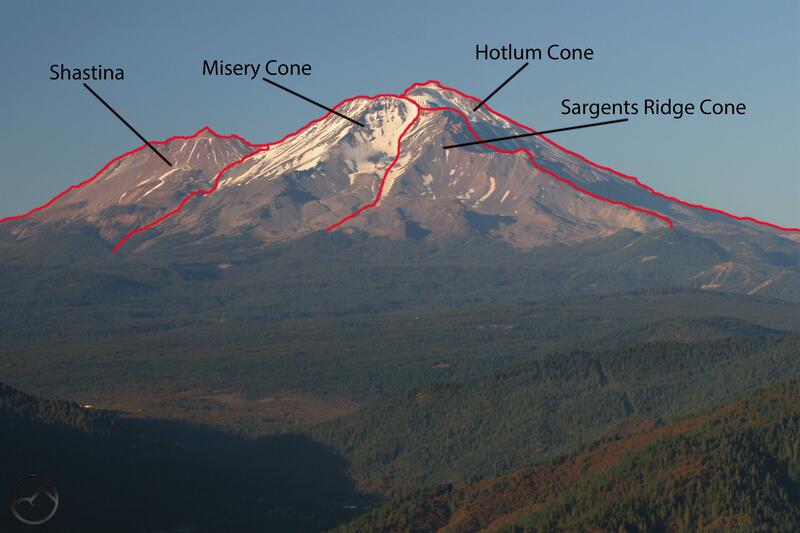 I am thankful that the Mount Shasta area has a good portion of this kind of terrain. The sunrise this morning was not unusually spectacular. 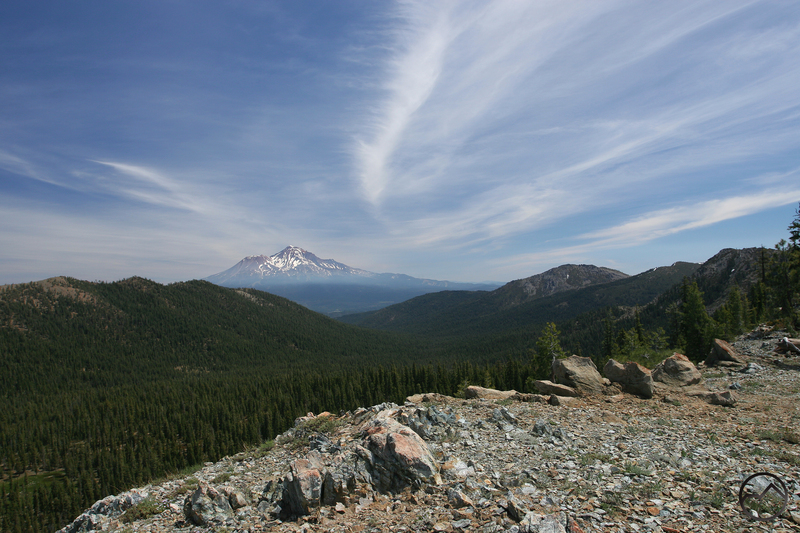 Rather, it was a demonstration of how mundanely exceptional the landscape around Mount Shasta is. The clouds around the mountain were alight with the rising sun but the really interesting views were further north. The sun rose in between Sheep Rock and Whaleback, dramatically illuminating the lands beneath the peaks. The juniper-studded hills were glowing from the dawn light while the Goosenest rose dramatically above the valley. There was nothing particularly memorable about it but it was all typically amazing. 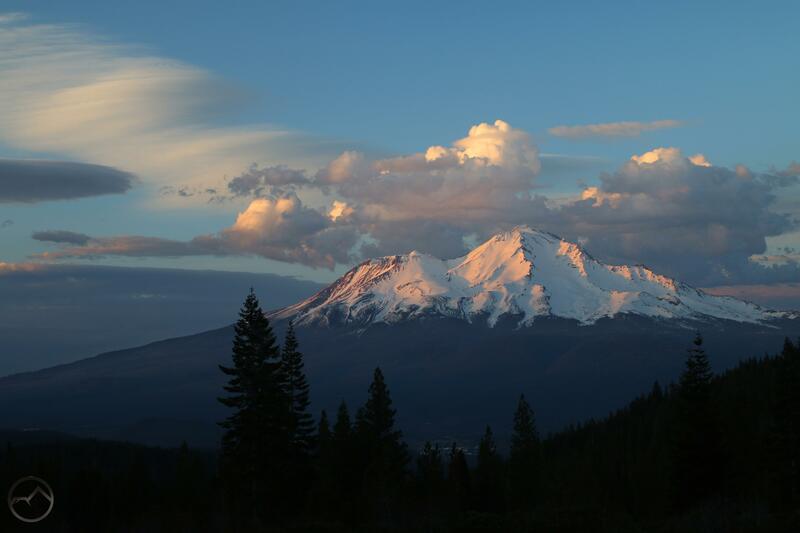 This image of Mount Shasta has little to do with dogwoods or Black Butte but I captured it as I was about to head home from documenting the flowering trees. I can’t imagine that they have not been there every year, but I confess I have never noticed the dogwoods on Black Butte before. I have lived in my house for almost 10 years now and we have a great view of Black Butte and not once, in the entire time that we have lived here, has my wife or I observed them. However, this year, when they blossomed, it was almost unavoidable, since they stand out so prominently. At first, we thought they seemed too high up on the little mountain to be dogwoods, since that particular tree seems to thrive at lower elevations. This is no doubt a false assumption and repeated viewings removed all doubt from our minds that these were, in fact dogwood trees. Oddly enough, once we observed the plants on the western slopes of Black Butte, I noticed that they were quite common on the north side as well. That shaded side of the mountain seemed to have for more, in fact. Correspondingly, the south side, which gets significant sun exposure, does not seem to have a single dogwood tree on it. The trees that we can see are obviously large and are not recent growth. Perhaps this has been a particularly showy year for the dogwoods and they have consequently revealed themselves. Other spectacular blooms have been spotted in other areas around Mount Shasta, so it may be that the dramatic blooming this year has finally exposed their presence on the slopes of Black Butte. No matter what the reason, it is subtle but attractive bit of color on Black Butte, a mountain which spring color seemed to have passed by. The Sacramento River flows into a very full Lake Siskiyou. As we progress into May, the temperatures and the rate of the thaw have both increased. The swiftly melting snow at the higher elevations of the Trinity Divide swell the Sacramento River and have resulted in Lake Siskiyou remaining exceedingly full for quite a while. Unlike the last several years, the area where the Sacramento flows into the lake has remained fairly stable, with no significant alterations to the landscape during periods of high water. 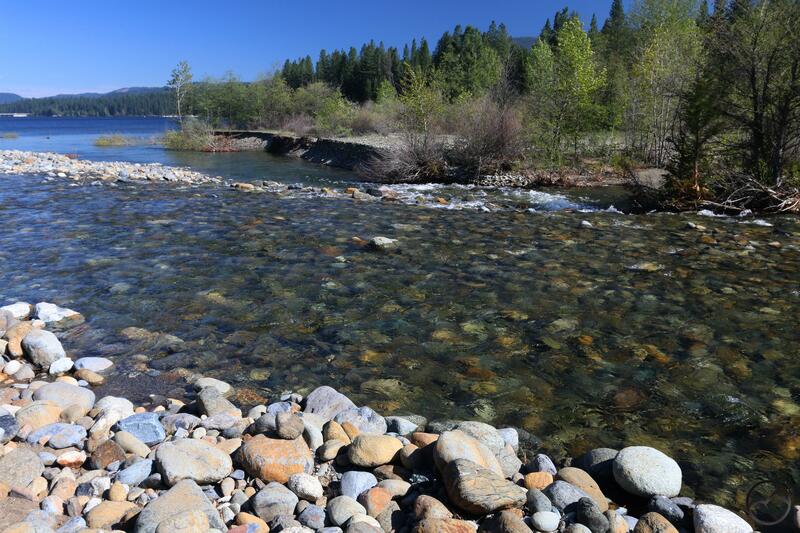 Consequently, the Lake Siskiyou Trail is essentially the same as it was last year. The bridges are normally installed at the left end of the image. This then begs the question as to when the seasonal bridges over the river will be installed. This is difficult to predict, but the current rate of flow is too significant to contemplate the installation of the bridges. The bridges initially had gabions installed in the middle of the river, allowing the bridges to be placed earlier than they are now. 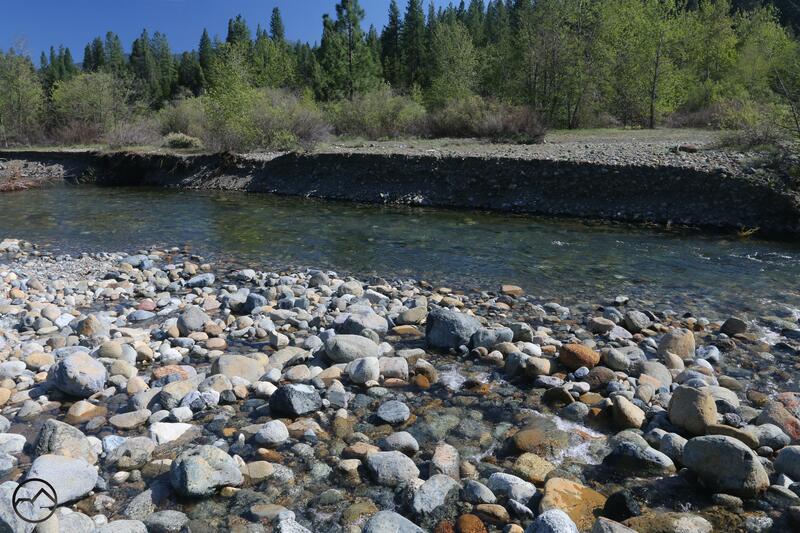 The gabions were wiped out a few years ago when the river produced a major deluge and significantly altered the landscape. Currently, the river is wide at the most easily bridged point, so it must go down a bit before the bridges can be placed in the currently makeshift manner. The situation is exasperated by the high level of Lake Siskiyou. The impounded waters reach all the way to the point on the river where the bridges are placed, meaning that the lake may need to recede before the bridges are in position.